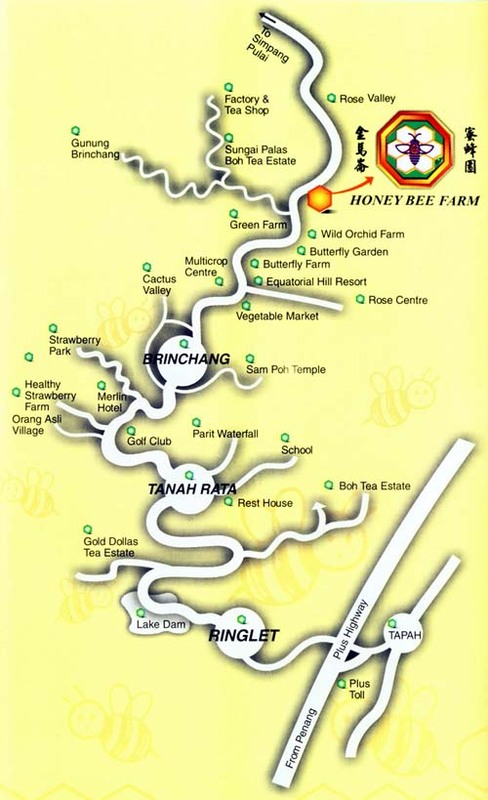 Just five kilometers from the town center, the remarkable Ee Feng Gu Honey Bee Farm stands as one of the main attractions in Cameron Highlands. 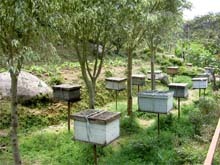 Banking on experience, the bee keepers have been well trained and very knowledgeable about honeys and bee keeping. Tourists are always welcome to this place and each bee keeper will always give you a tip or two if you are interested in bees. It's one of the most interesting activities in Pahang. In this farm you'll be able to see more than just honey. 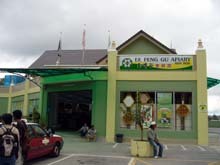 Royal jelly and pollen are also the products of this farm and they are constantly in demand in Malaysia. Part of the farm is also dedicated to tea plants. As Cameron Highlands is known for this plant, it's no wonder why Ee Feng Gu Honey Bee Farm has also managed to plant tea. Be sure to visit one of the well known Pahang attractions when you're in Cameron Highlands. 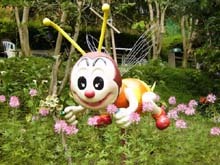 It provides great information about the bees and a beautiful complimenting landscape.